Pickup trucks can have a reputation for being a bit expensive, especially if you want one loaded with features. Opting for a used model is a straightforward way to get the amazing value and capabilities of a truck at an affordable price, even if it just a year old. 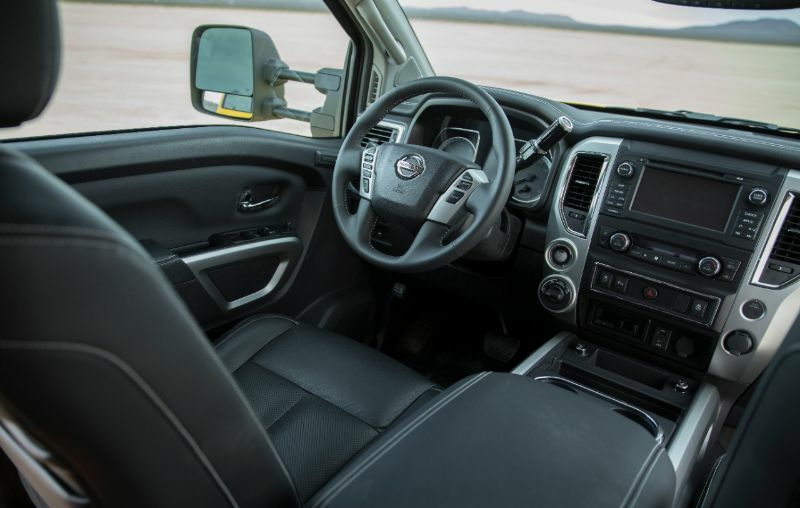 The affordable 2017 Nissan Titan SL 4×4 could be exactly what you are looking for, whether you occasionally tow a boat or go off-road or want a pickup for your small business. In order from most affordable to most features, the 2017 Titan trims are S, SV, PRO-4X, SL, and Platinum Reserve. The SL is only offered with a Crew Cab, although you can find it as 4×2 or 4×4. Based on this, a 2017 Titan SL 4×4 will be one of the most expensive configurations of this pickup. However, you get a significant discount via depreciation. As mentioned, the affordable 2017 Nissan Titan SL 4×4 only comes with a Crew Cab, which is a nice, spacious option with a full-size back seat. The rear seats in this cabin type are almost as comfortable as the front ones, meaning adults are comfortable there and your colleagues are unlikely to argue over seating arrangements. Arguments might still occur, however, thanks to the front Zero Gravity seats. The bed of the Titan SL is useful with a spray-in bed liner and channels that make it easy to divide up the storage. There are also movable cleats to use with mounting racks and tie-downs. Consider looking for a Titan with a watertight storage box in the bed or adding one after your purchase. You are likely to appreciate the damped tailgate that lowers easily, as well as the lights that are mounted low within the bed. Even if you have a tonneau cover, you can clearly see the contents. Since the Titan SL 4×4 uses a Crew Cab, you get a 5.5-foot bed, more than enough space for the average person’s use. The 2017 version of the Nissan Titan relies on a modified variation of the first generation’s ladder-frame structure. The upgrades include extra gussets for enhanced structural integrity and hydraulic body mounts that reduce vibrations. The result is a controlled pickup that uses the 5.6-liter Endurance V8 engine well. This gas engine delivers 394 pound-feet of torque and 390 horsepower. The engine is quiet but can also deliver a growl to show off its power. It is also highly responsive and works with a 7-speed transmission. 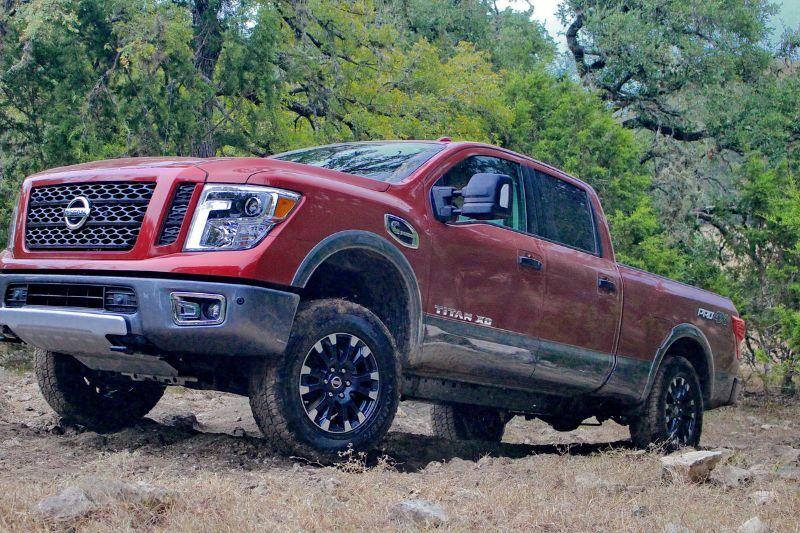 Depending on the configuration, the Titan can tow up to 9,730 pounds. 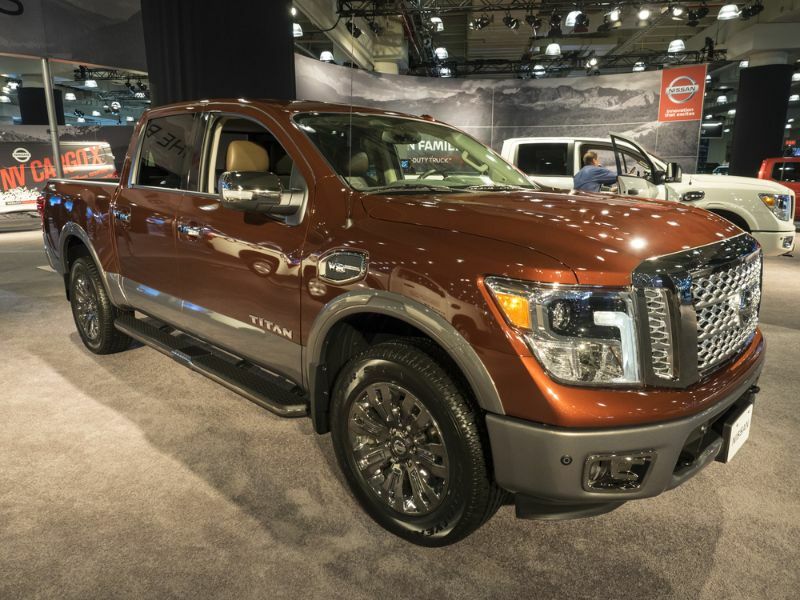 As the second-to-top trim level, the 2017 Nissan Titan SL comes nearly fully loaded with features. You will get to enjoy heated front seats, leather upholstery, memory for the 8-way power-adjustable driver’s seat, and 4-way power for the front passenger. You also get 12 speakers of Rockford Fosgate audio, NissanConnect, parking sensors, a 110-volt outlet in the bed, and more.